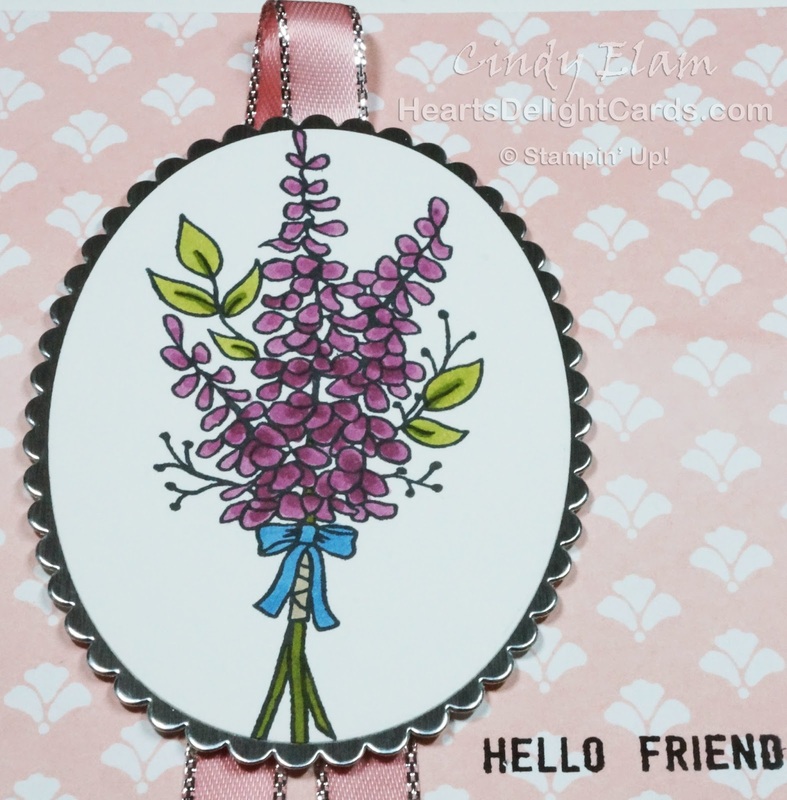 Heart's Delight Cards: Happy Friday! And it IS a very happy Friday for me! I am on my way to Atlanta for Stampin' Up! OnStage with two stamping buddies. 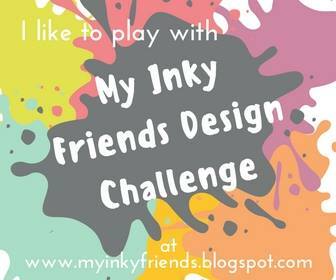 We plan to have lots of inky fun, and there may be an adult beverage or two involved as well. 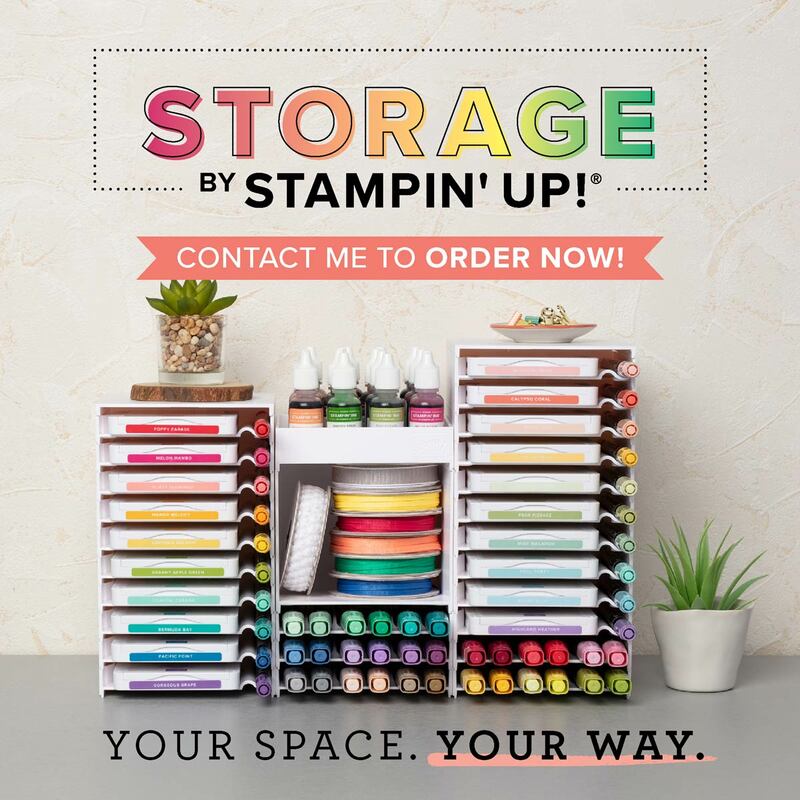 Not during the Stampin' Up! event, of curse, but afterwards. I'd post pics of the shenanigans, but incriminating photos are not allowed, LOL! 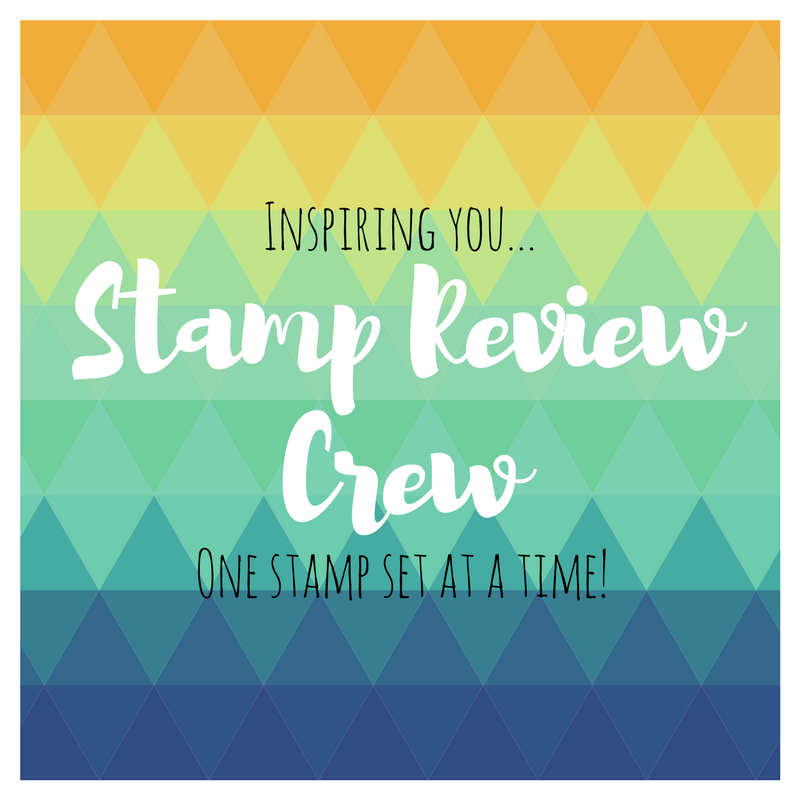 Anyway, I'm having a hard time containing my excitement because not only are we having a girls getaway and meeting lots of other like-minded stampers, but we are going to get to see the NEW ANNUAL CATALOG! Be still, my heart! 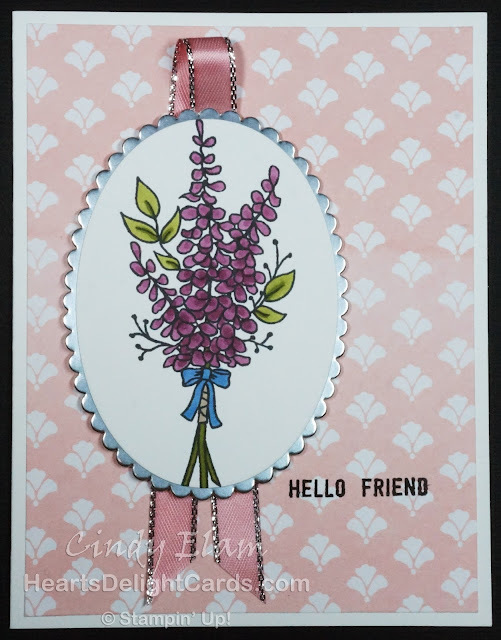 My card today is one that I made for a friend who sews beautiful custom aprons. She made this one for me to send to my daughter. 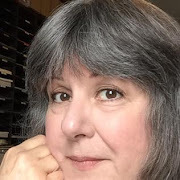 It is so her stye, and I can't wait until she gets it! Isn't it gorgeous?! 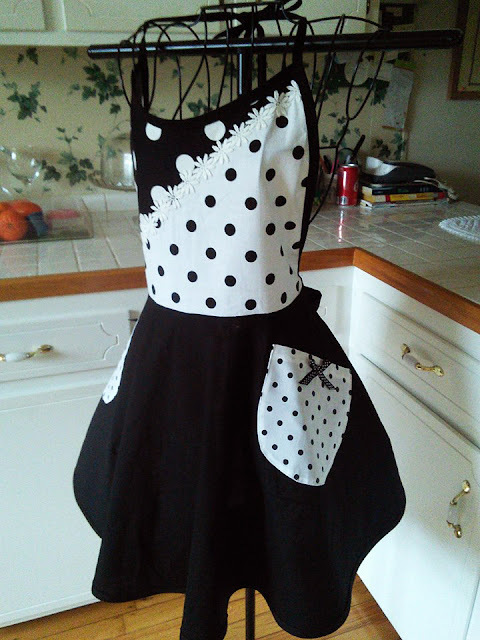 Seriously, if you're on Facebook, you should check out her creations at Favorite Things Gift Collection by Pauletta. She's amazing! 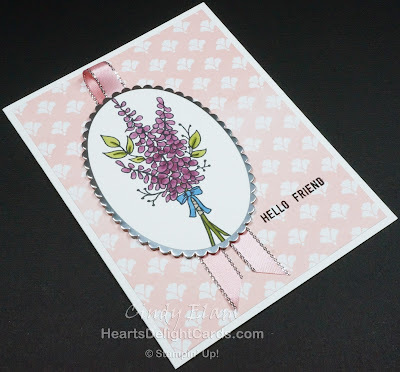 Tomorrow I will share the swap cards I made. Don't want to post them before the swapping happens! Labels: Heart's Delight Cards, Hello Friend, Lots of Lavender, Sale-A-Bration 2018, Stampin' Up!